Avaya Merlin KSU's and Circuit Cards- 410 KSU, Merline 820 Classic, Feature Package I, Feature Package II, etc. Refurbished Avaya Phones, Used Avaya Telephones, Avaya Circuit Cards- Partner, Merlin, Merlin Legend, Merlin Magix and Definity. Craig Communications is pleased to offer a full line of refurbished telephones such as the Partner Series, Merlin Legend Series, The Definity Series and all Used Avaya Telephones and Avaya Circuit Cards at discounted pricing. 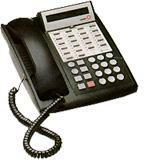 We offer a Full One Year Warranty on all New and "A" Quality refurbished Telephones, system or Avaya Circuit Cards. Whether you are buying 1 or 100 Used Avaya Telephones for your business, you can purchase from Craig Communications with complete confidence because we are COMMITTED TO QUALITY & SERVICE! We also buy used phone equipment as well as Avaya Circuit Cards. Click here to get a Free Quote. Call us toll free: (800) 306-3377 x 1 for assistance in selecting the right phone system for your business. Dont be fooled by the competitors. Many time they are only offering a 30 day warranty on all their Used Avaya Telephones and Avaya Circuit Cards and wiping them down with windex and shipping them off to their customers. Dont let your company fall victim to these practices. Here are Craig Communications, we put pride into all refurbished Avaya phones and and Component that go out of the warehouse door. Call us today to find out why Fortune 500 companies and small businesses trust us for all their Telecommunication needs. We would loved to earn your business. We stand behind all our Used Avaya Telephones, system and component with a ONE YEAR WARRANTY! Looking to sell your used refurbished Avaya phones and equipment? Craig Communications also buy used phone equipment! 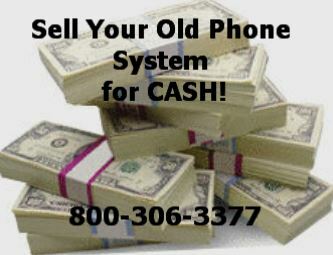 Get a free quote on your used phone system and equipment.